New Year's Eve wasn't really a very exciting holiday for us, but because it was a holiday I wanted to at least cook something as if we were partying. Pinterest seriously has all of the answers. I found these Miniature Monte Cristos and knew that they needed to be made. I wasn't to excited about using evaporated milk for the batter because I didn't need to make very much and didn't want to waste half of can of milk. So I looked around the internet for fried french toast recipes that used bisquick and got an idea of what to do. The result was delicious! I only made 4 slices of bread worth of these since I was cooking for two people. The amount of batter I made was way more that I needed and probably could have covered 10 slices of bread worth of bites at least. I also didn't want to be wasteful with the crust I trimmed off of the bread. I saved it to make croutons. Trim crust off of bread and flatten each slice of bread with a rolling pin. Spread mustard on bread. Top each slice of bread with 1 slice of cheese, 1 slice of ham, and 1 slice of turkey. (We found it was easiest to roll if the cheese was closest to the bread. )Roll up bread tightly. Wrap very tightly in plastic wrap to assure even log shape. Chill for 30 minutes. Mix together baking mix, eggs, milk, and cinnamon.Heat 1 1/2-inches oil in deep-fryer or deep saucepan to 375°F. Unwrap each roll from the plastic wrap and secure with 4 wooden picks. With serrated knife, slice each roll into 4 pieces, securing each with a wooden pick. Dip each piece in batter, allowing some batter to be absorbed. Fry a few pieces at a time in hot oil for 1 to 2 minutes or until deep golden brown, turning frequently. Serve with spicy brown mustard or jam for dipping. Yum! What a great recipe, and they look fantastic. I love Monte Cristo sandwiches, but I think your bites are a better idea. I linked to you from This Chic Cooks! Monte Cristos bite size! Yes please!! These look oh so yummy! The problem with these is that they are, um, bite-sized! My oh my -- Imma gonna hafta try them. Thanks for the recipe! Oh my these look good! Thank you so much for sharing at Taking A Timeout Thursday! These are a Saturday snack! Thanks for sharing! 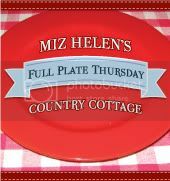 Hi, I found you through Miz Helen's Full Plate Thursday. These bites look AMAZING!! I'm always looking for new appetizer ideas and I love this. Thanks for sharing! I look forward to giving this a try. Thanks for sharing it. One of my favorite sandwiches is a Monte Cristo, so your Monte Cristo Bites will be a great hit with me. Thank you so much for sharing on our 1st Anniversary Party for Full Plate Thursday. Have a great week end and come back soon! Wow, those look sooo good! IF you have time, stop over and link this up in my Happy Friday link up! Today I'm featuring dips and this works for me! lol Feel free to link up any other dips, too! My favorite sandwich made into finger food?? Sign me up! Those look so delicious! I have a party going on Fridays. I'd love if you linked up! Wow!! This looks sooo tasty!! 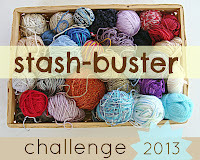 Thank you so much for sharing and for linking up to Lisa's Linky List!! These look really good and I can't wait to try them!!!!! Wow.. another great recipe! Im going to poke around your site and see what other awesome things I can find :) Feel free to link this up too! Yum. I haven't had a Monte Cristo in forever. Looks great! OOh, this looks totally yummy!!! This looks yummy! Thanks for sharing at my party. Can't wait to see what you link up next week! What a great idea! I love monte cristos! 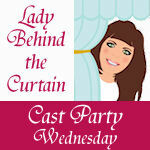 I'm hosting a linky party today and would love for you to link up! These look delicious!! Thanks for sharing at Shine on Friday! I can't wait to try to make this. This is my husband favorite sandwich so I would love to make them smaller, so much easier to fry! I am a new follower, please stop by and say hello! I've never heard of these before but they look so good. 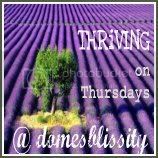 Just wanted to say thanks for linking up to my Thriving on Thursdays party last week. It's on again tomorrow (Australian time). We'd love to see what you've been up to. Just wanted to let you know that you're being featured at tonight's party - thanks for linking up each week! I featured your yummy bites this week! Stop by for a button! : ) And I hope to see you this Friday! I found your feature and had to click right over! These look delicious. I am your newest follower! oh my gosh! These look delicious! Thanks for linking up to the Tuesday Talent Show! I hope to see you again next Tuesday! these look so yummy! must try! love your blog..
What a great twist on a classic favorite. I am now following you on Linky Tools. I would love for you to follow me, too. I just made these tonight for a family dinner. I was a bit skeptical being Cuban, and all expecting Rice and Beans, but They were Super Easy to make and VERY Good... They all DEVOURED them. I used a Rasberry Jam to dip the Monte Cristo Balls, and they were a HIT! I have already been warned that I had to bring these to the next dinner! Thanks for sharing!